Sean is a tenacious lawyer with significant experience in commercial litigation, business law, creditors’ rights, and real estate. Sean focuses on working efficiently, professionally and diligently for his clients, and he is committed to economically guiding his clients toward an amicable and satisfactory resolution to the legal challenges in their lives. He has applied these principles in a wide variety of litigation matters, informal resolutions of disputes, and small business matters. Prevailed for clients resolving a real estate boundary dispute after a 2-day bench trial. Obtained a judgment in favor of clients on claims for ejectment, adverse possession, and trespass. Represented numerous small businesses in organizing, starting up, resolving disputes, and handling day-to-day operations. Prevailed at arbitration on all claims related to the breach of a joint venture agreement regarding the purchase and sale of real estate. Favorably settled claims for misrepresentation and breach of contract following close of evidence at arbitration. Successfully defended business co-owner on claims related to the dissolution of a partnership. Obtained defense judgment on all counts in favor of client. Following trial, obtained a complete defense judgment for client on claims for (1) misappropriation of trade secrets, (2) unfair competition, and (3) breach of fiduciary duty. All claims were asserted by client's former partner. Prevailed on declaratory judgment action with garnishor seeking recovery from successive purchase agreements for business. Obtained judgment award for client/business sellers. Prevailed at 2-day trial for breach of contract on sale of Christmas trees to an out-of-state customer. Judgment awarded in favor of client. Obtained award at arbitration for client on claims for breach of contract under ORS 20.082 and tort under ORS 20.080. Successfully obtained provisional process ordering art to be returned to client prior to trial. Successfully obtained provisional process ordering the return of a small aircraft to client. Favorably settled dispute after oral argument on a provisional process motion resulting in the return of client's property. Successfully collected majority of substantial judgment award. 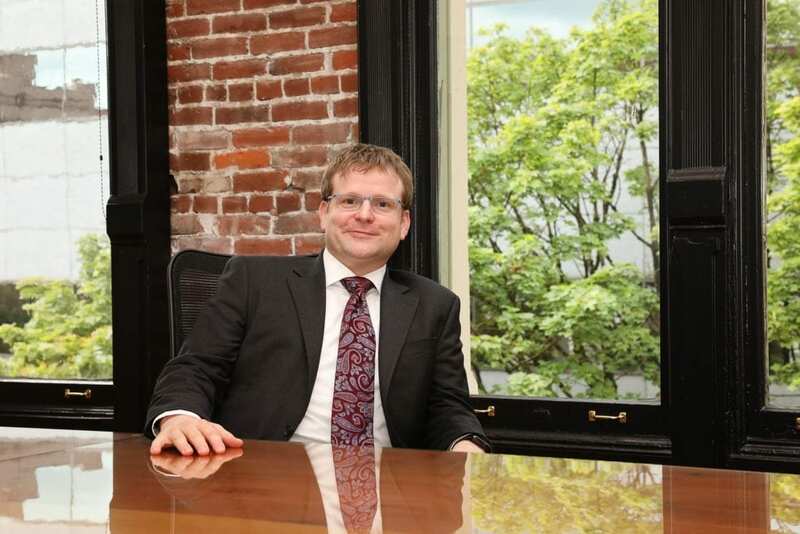 Prior to joining Motschenbacher & Blattner, Sean gained substantial experience as an owner of his own law firm and as an associate with various Portland-area firms. Sean focused his practice on business law and creditors' rights. Sean enjoys sharing his time cavorting or lounging with his wife and their furry children. As a native of Portland, he appreciates spending time exploring all that Portland and Oregon have to offer on bike and by foot.